A while back, I took my parents to Tampa, Florida for their Christmas gift, and I jam packed our schedule with activities – some good, some eh. So I figured, why not write a guide on the best things to do in the area? 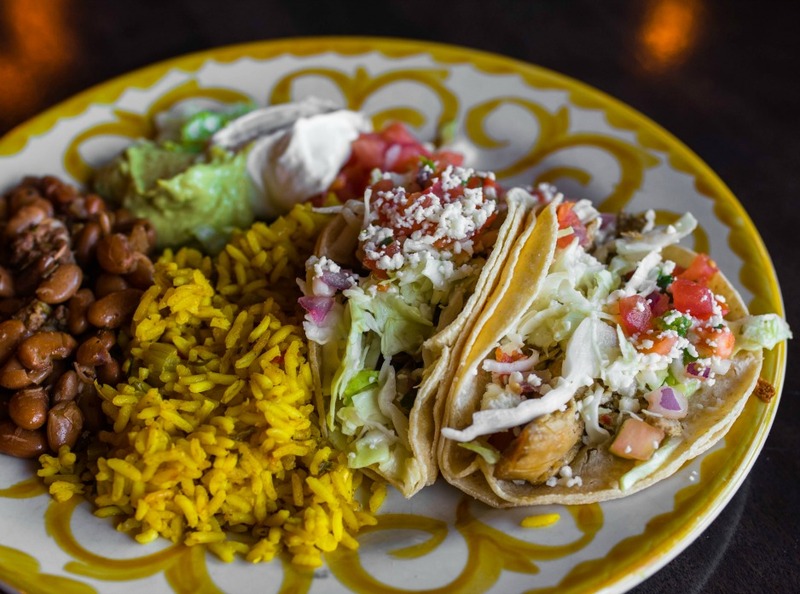 if you’re planning on visiting, definitely make sure to bookmark this post because I’m gonna tell you about all the things you need to do, see, and eat! No one in my family really enjoys rollercoasters so we didn’t hit up Busch Gardens, but I hear it’s worth a visit if you like amusement parks. It’s zoo themed, and they have 15 different rides available with a new one called Tigris coming in 2019. Some of the rides seriously look insane (you can see them all here), like Sheikra legit looks like death to me. Apparently you climb 200 feet before hitting a 90-degree drop, and it goes up to 70mph (!!!!) I’d probably pass out, but I know a lot of people would go nuts over this, and I mean that in the best way possible. 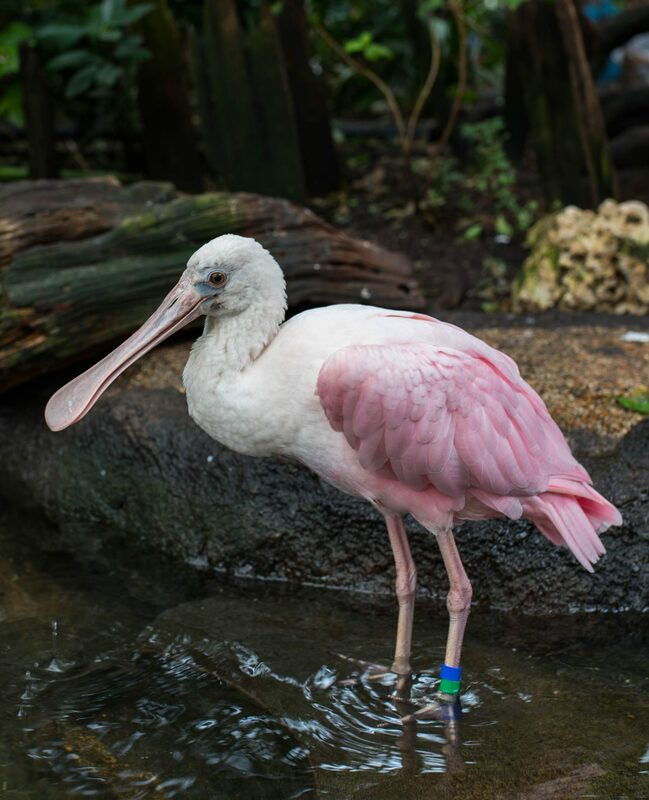 They also have a zoo on grounds – in fact, it’s the largest zoo in Tampa – for those of you interested so you could easily spend a day here with your family just walking around. Tickets are available for purchase online for $79.99 a pop, but if you’re planning on hitting other attractions in Tampa, you may want to get their CityPASS. You can read more about it here, but basically you pay $107 to visit Busch Gardens, the Aquarium, ZooTampa, Clearwater Marine Aquarium and the Museum of Science & Industry. It only makes sense if you’re going to hit at least 2-3 places though. This beach is only about a 30-40 minute drive from Tampa, and it’s a really cute area. It was too cold to swim when we went, but my parents and I liked walking along the shore and lying on the sand. Pro tip: if you drive, don’t park in the beach lot. You’ll wait forever, and there’s plenty of street parking elsewhere so don’t waste your time! We went on Christmas Day so not much was open, but we lunched at a solid Mexican place called The Spotted Donkey. Service was a little slow, but I think that’s because they were short-staffed due to the holidays. Prices were really reasonable, and the food was pretty good so I’d totally go back if I was in the area. If you decide to go, I recommend their quesadillas and their tacos! If you want to get your shop on, this ginormous mall has over 200 shops so there’s something for everyone – they have everything from affordable to high end (ie. Tiffany’s and Louis Vuitton) so go wild, friends. 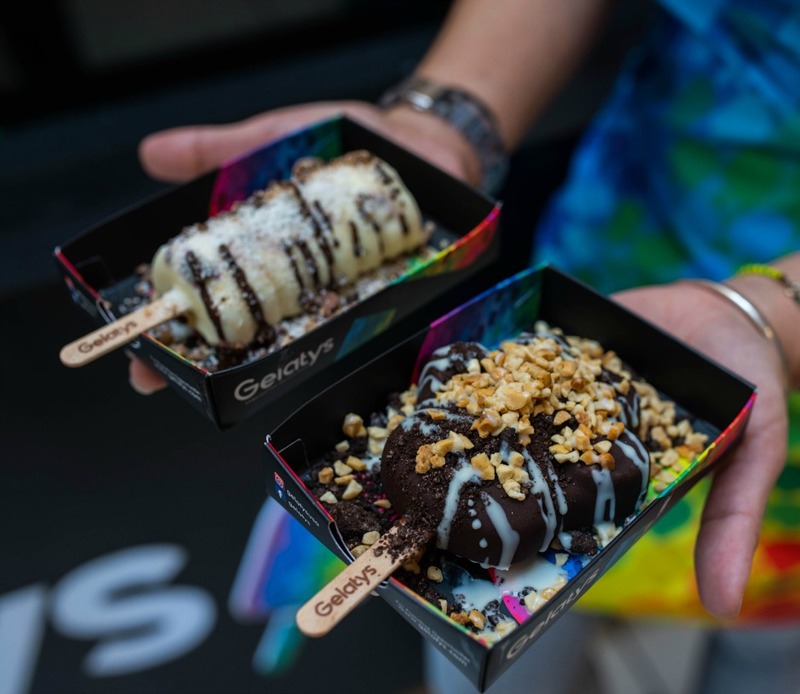 If you get hungry, you have a lot to choose from because they have 16 different dining options on site with a bunch of nomtastic kiosks as well – must-tries include Mr. Mango and/or Gelatys. I’m spoiled because everything pales in comparison to the National Aquarium in Baltimore, but I still had fun checking this place out with my family. I mean, they’re one of the best Aquariums in North America, and they care for over 7000 animals so there’s plenty to see. 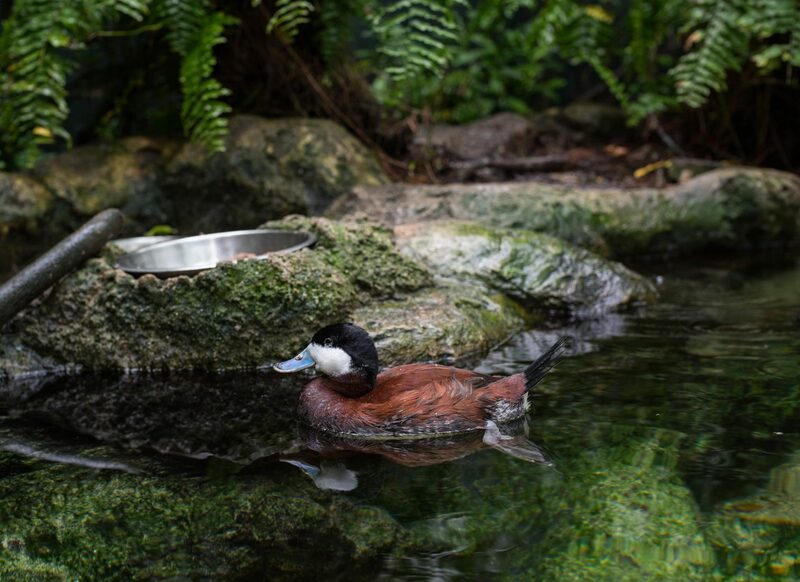 Their Wetlands Trail and Journey to Madagascar exhibits let you get up close and personal, and their No Bones Zone is paradise for kids because they get to “pet” marine life. Their Splash Pad, a mini outdoor “water park,” is also heaven on earth for children so this aquarium’s a must for families with young’uns. They also have a ginormous pool with sting rays that you can touch along with a big 4-D theater. Ticket prices vary depending on the day, but try to buy them online because they’re cheaper that way! If you forget and have to purchase them on site, they offer a AAA discount so remember to bring your card if you have one! Are you really surprised I listed an outlet mall though? Ha. 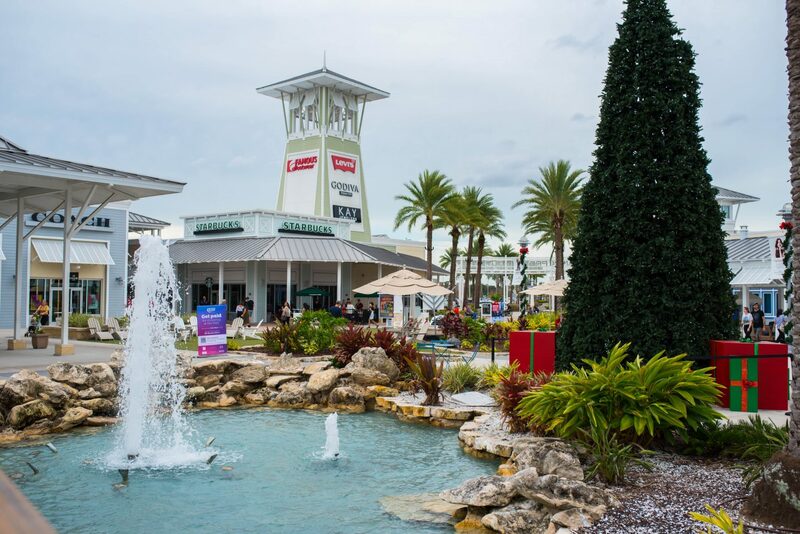 Located on Grand Cypress Drive, they’re open Monday-Saturday from 10AM-9PM and Sunday from 10AM-7PM. They have over 110 shops including some of my personal favorites like Saks OFF 5th, Kate Spade, and Steve Madden. And it’s only a 20-30 minute drive from downtown Tampa so you definitely have to stop by. Bring your family, friends or SO and treat yourself because life’s just too short! The Gardens were closed from December 24-January 2 so I didn’t get to go, and I was really bummed to miss out because I’ve heard amazing things. I guess that means I’ll have to go back to Tampa…as if I needed a reason, ha! For $5, you get to explore 16 acres of orchids, tropicals, butterflies, and so much more. They have 3000+ plants and animals in their care, and they attract about 35,000 visitors annually so you know their garden’s legit. Children under 12 get in for free, and you don’t have to worry about parking since they have their own lot. Costs are minimal though, and I’d recommend going for the photo opps alone! If you’re looking to satisfy your sweet tooth, Bake’n Babes is an absolute must. They have some of the most amazing desserts I’ve ever tasted. Prices aren’t necessarily low, but trust me when I say their sweets are worth the moolah. They source everything locally so you’re paying for quality. 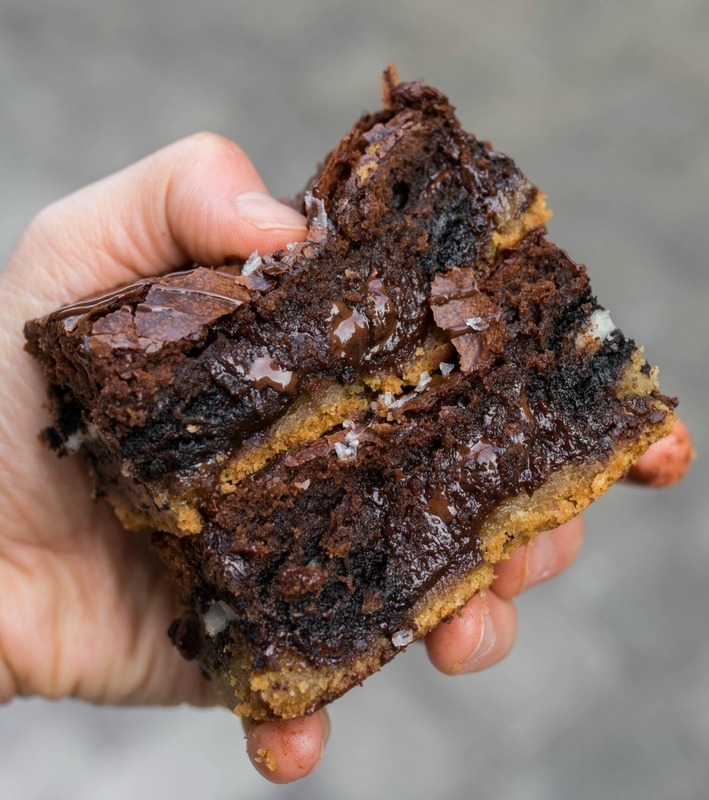 Their Sleazy Brownie is honestly one of the best things I’ve ever eaten – layers of brownie batter, cookie batter and oreo? I’m literally drooling just thinking about it. 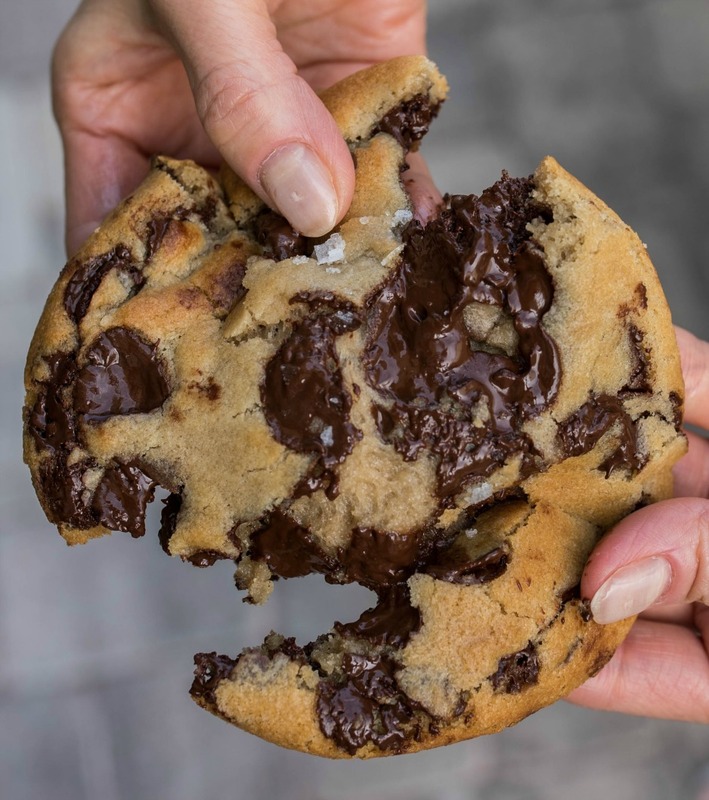 Also, make sure you get two chocolate chip cookies: one to enjoy on the spot…and one for later. Hands down, the best pork belly you’ll ever eat. Do yourself a favor and get here because this bowl will straight up change your life. It’s cooked to crispy perfection, and the melt just melts in your mouth. Oh, and did I mention that their entire menu’s under $10? Yep, their food is affordable and obscenely delicious so it’s a win-win on every level. 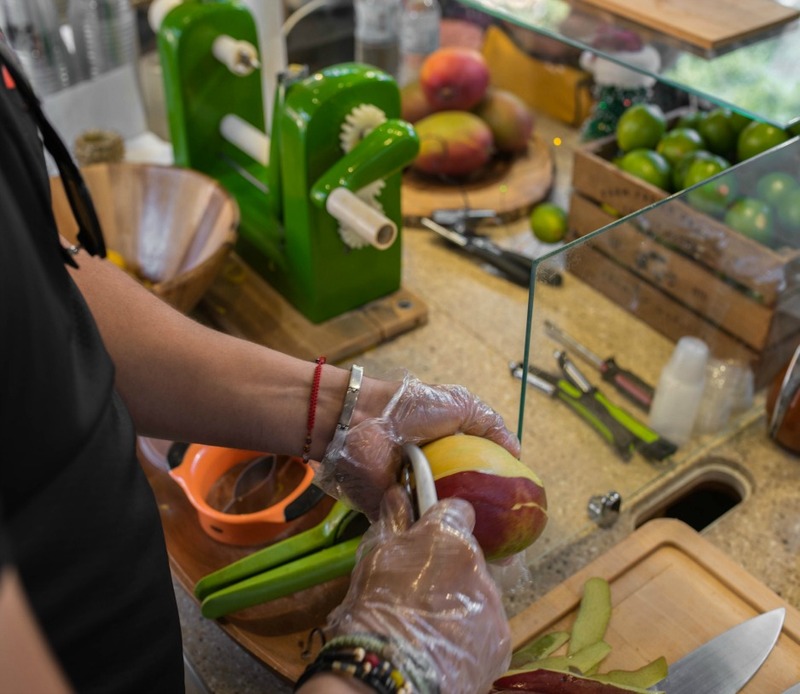 They first started off as a food truck but needed to expand due to their immense success. 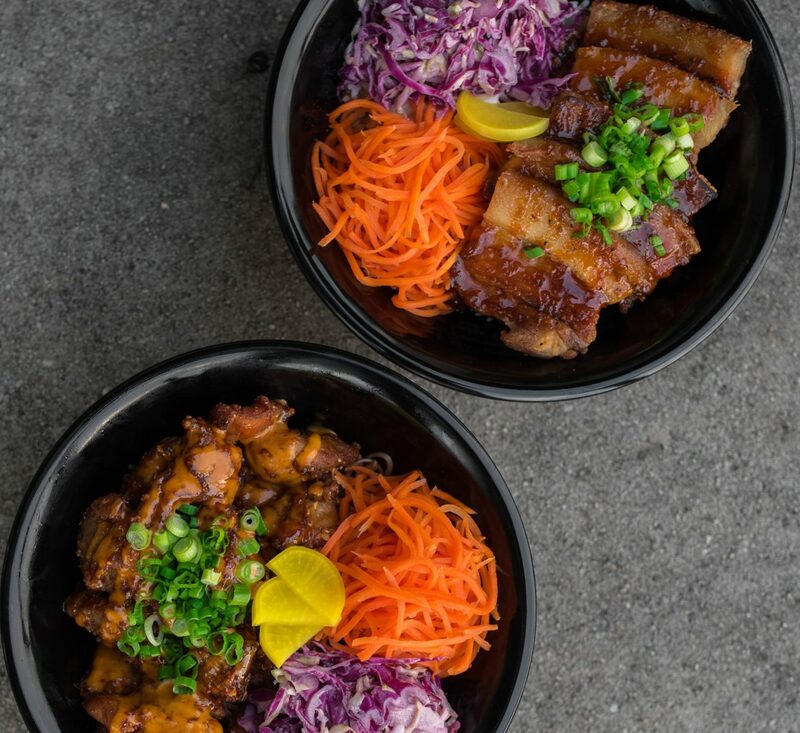 Get their pork belly bowl with rice, purple slaw, shop sauce and shredded carrots. Their bowls begin at $8.97, but your total will come to $11 or so with tax and the additional add-ons. So, make your stomach happy and indulge! 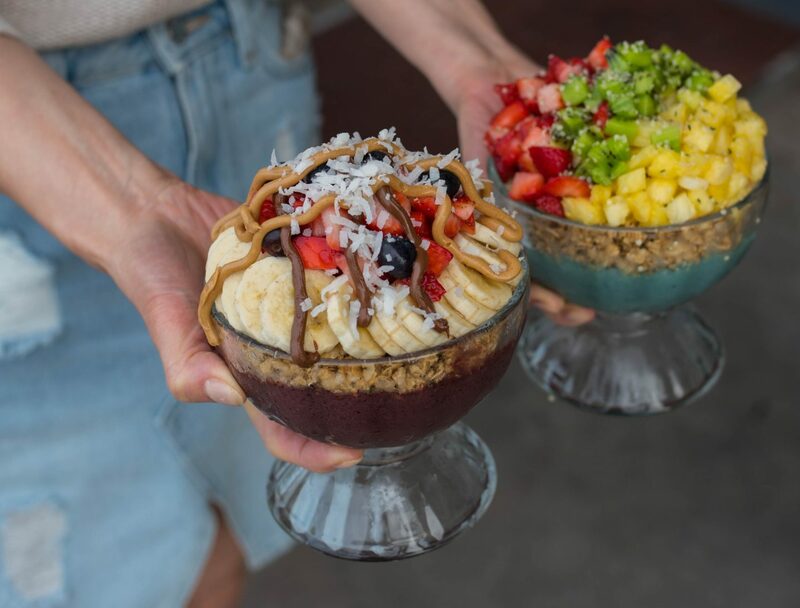 If you want to start your day off on healthy note, hit up Grain & Berry for one of their beautiful bowls. There’s a reason why they were voted #1 bowl in Tampa Bay after only being open for a year. And like Chop Chop Shop, their entire menu’s under $10, which blows my mind because portions are huge. They have other items on their menu, but you definitely have to get a bowl if you go. I tried both their acai and spirulina bases, and they were delicious so I’m assuming the others are as well! I personally recommend the Grain & Berry and the Seas the Day but go with whatever tickles your fancy. 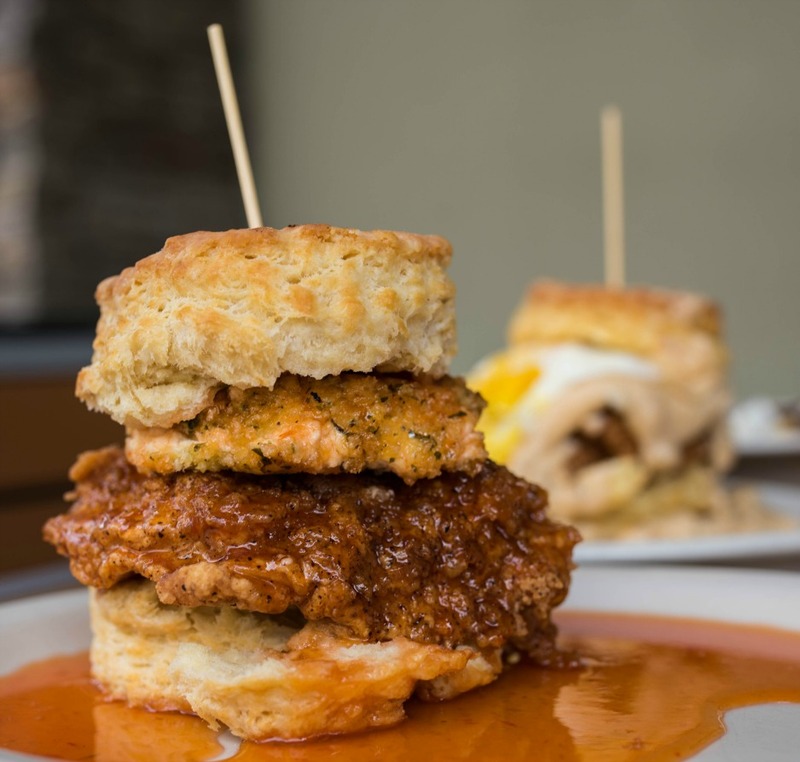 If you’re looking to treat yourself, Maple Street Biscuit’s where it’s at. They epitomize “guilty pleasure,” and they’re pretty much heaven on earth for carb lovers everywhere. They make all their food in house from scratch (think biscuits, gravies, jams, etc. ), and they even roast their own coffee beans, like you’re doing yourself a disservice if you don’t try their maple roast. 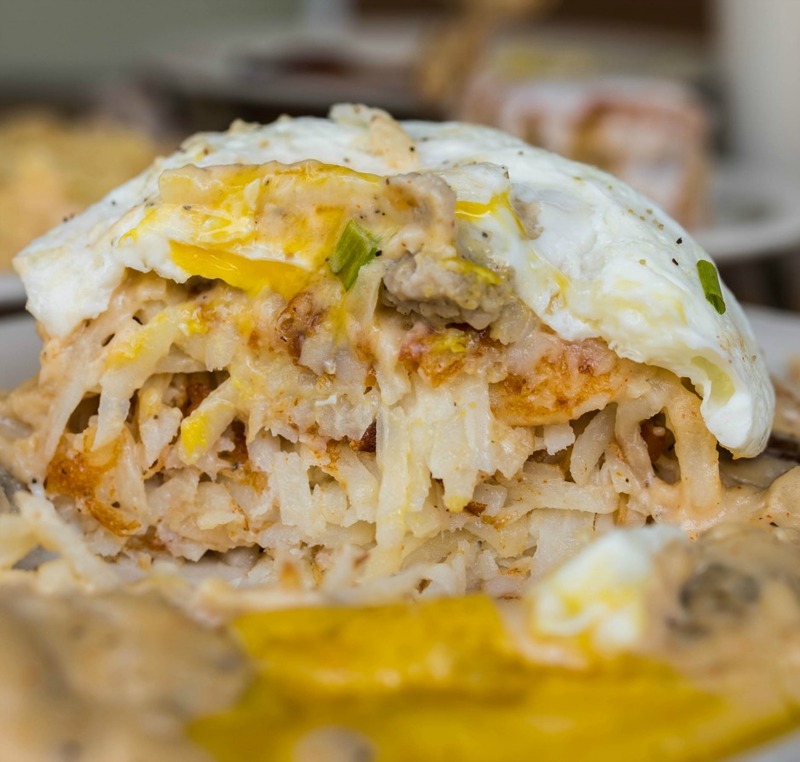 Must-tries are the Squawking Goat (a piping hot biscuit with fried chicken and herbed goat cheese, doused in pepper jam) and the Three Layer Cake (aka hash browns with sausage gravy and a runny egg). 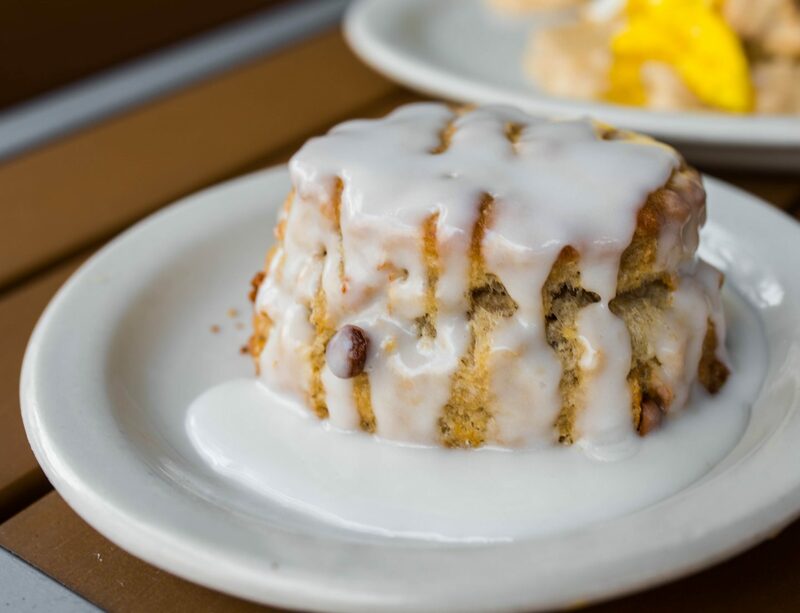 Also, first timers get a complimentary cinnamon biscuit with frosting, and it’s pretty much the best thing ever. Enjoy friends! 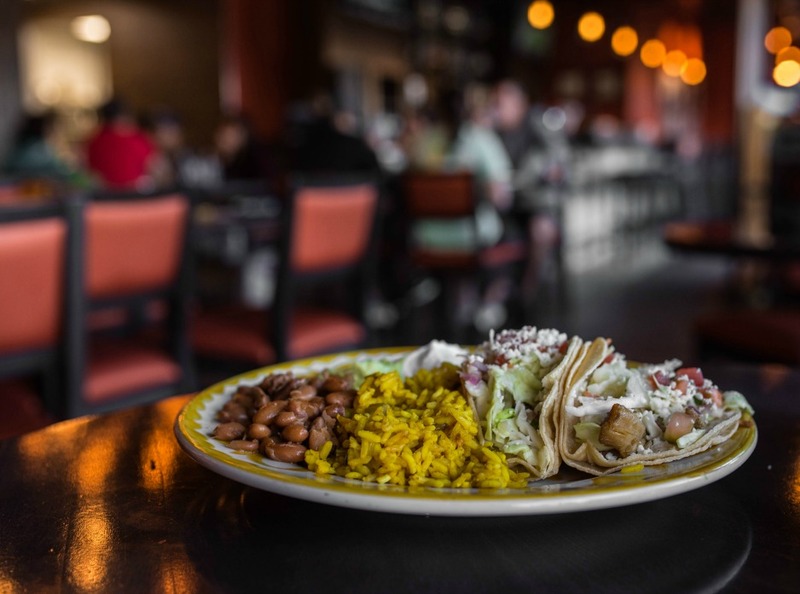 Who am I to turn down incredible Mexican food? 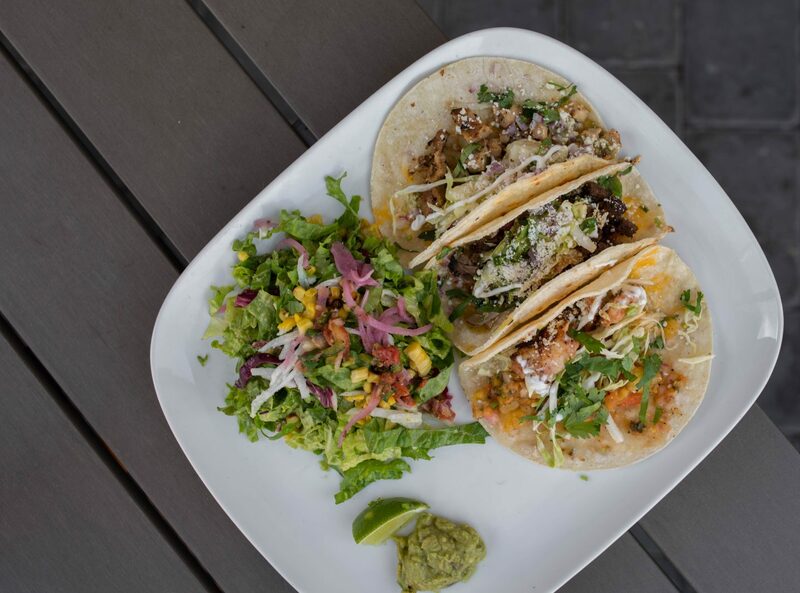 If you’re in the mood for some tacos, you definitely need to come here for lunch… but also for dinner because their short rib is straight up magical. Hands down, one of the best short rib dishes I’ve ever had, like in my entire life. 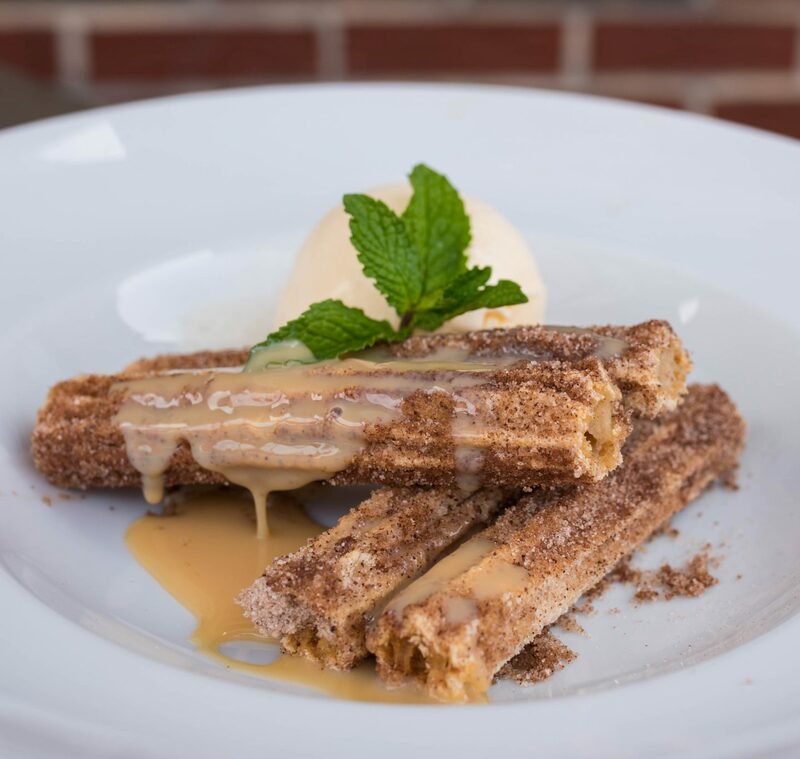 You’ll be tempted to stuff your face with all the food, but you gotta save room for dessert because their churros are what dreams are made of. And the best part? They’re only $6! I had no idea, but apparently Tampa has a huge Korean population. 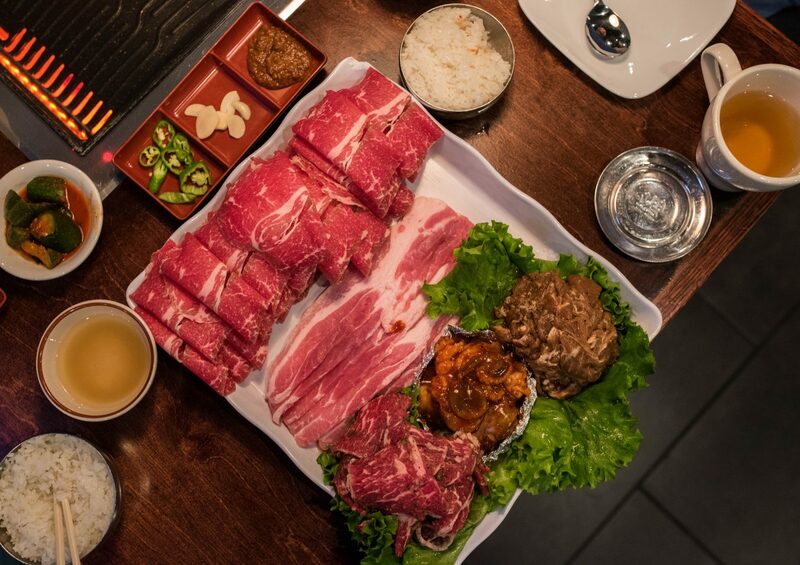 I tried both Sa Ri One Grill and Sa Ri One Restaurant (owned by the same person), but the KBBQ AYCE place was way better. This one’s located on 7525 W Hillsborough Avenue, and the food was surprisingly good. I don’t usually like AYCE meat places because the meat’s usually trash – I know that’s harsh but let’s be real, it is – but they were legit. I went with their combo for two (around $46), and it was the perfect amount of food for me and my parents. Definitely make sure to hit them up if you’re craving Korean noms. Their pork mandu was to die for as well. In fact, they were so good that I went back for them twice! 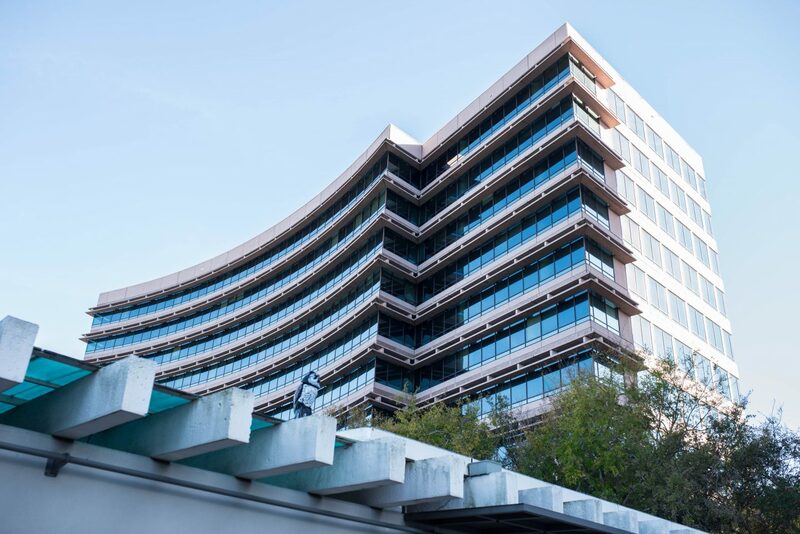 I had a REALLY bad experience with Hyatt in the past – it’s a long story, and I don’t want to get into it but it had everything to do with Daisy – so I boycotted them for years. My mom finally convinced me to give them another chance, and I’m glad I did because their Tampa location was very nice. They were super dog-friendly so I’m probably going to bring Daisy next year so she can enjoy our annual FL vacay with us. My room was $140/per night, but the hotel had free wifi, free parking, complimentary coffee, and a 24 hour fitness center so it was a great deal. I used hotels.com to book because I’m all about their “buy 10 nights, get 1 free” deal. 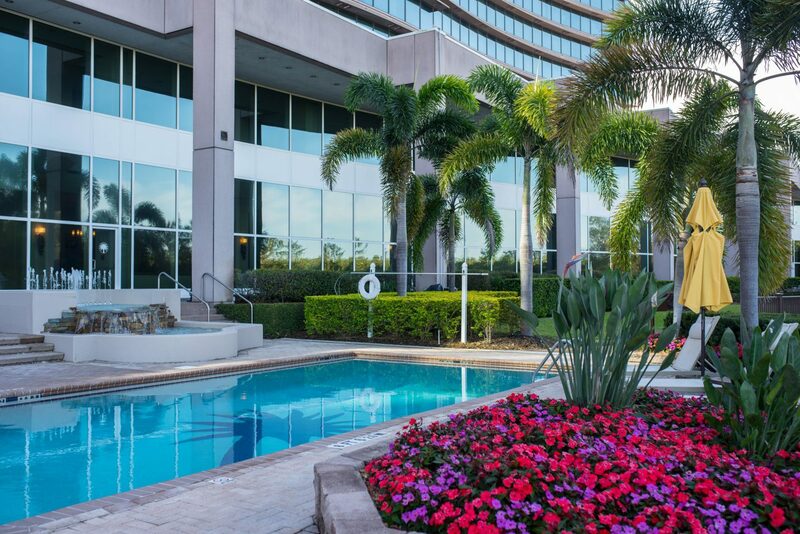 The Grand Hyatt Tampa Bay was located right near the water so the views were stunning from above! If you want to ball out, make a reservation at Armani’s – they’re located on the hotel’s top floor, and the ocean + sunset? Epic. 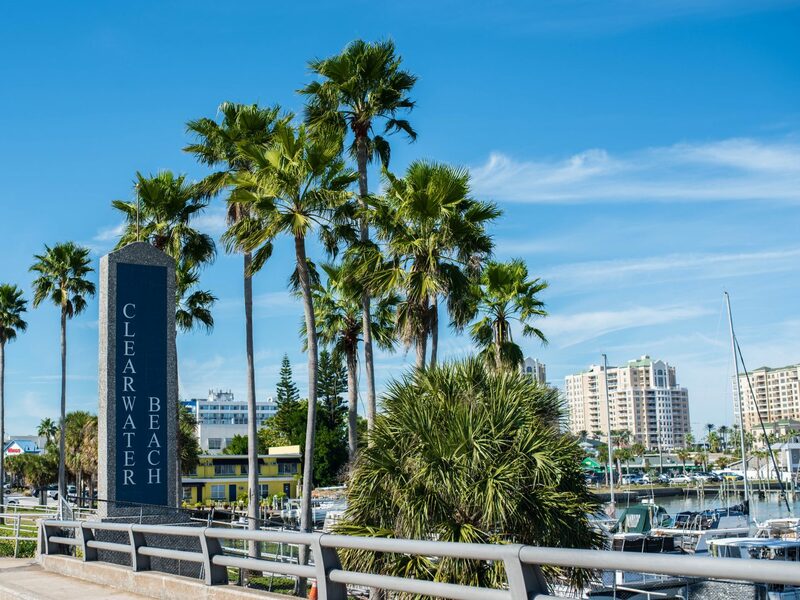 I highly recommend staying here, but Clearwater also has a bunch of bomb resorts so that may be a better option for you if you want to spend the majority of your time chillin’ on the beach. Alright friends, I hope you enjoyed my latest travel guide! Definitely let me know what you think if you visit any of these places, and if you have questions, please don’t hesitate to reach out and ask. For more travel related content, make sure to peep this tab. And also, my friend Dining Traveler did a lovely guest post for me on luxury vacations on a budget so that may be of interest to you as well! Until next time. Sending lots of love from the DMV.